Branch Hill Farm is a 3,000 acre award winning Tree Farm in the American Tree Farm System, and is also a working agricultural farm. The Farm has been recognized as New Hampshire's outstanding Tree Farm on three occasions, New England's outstanding Tree Farm on two occasions, and placed second in the National Tree Farm competition in 1990. 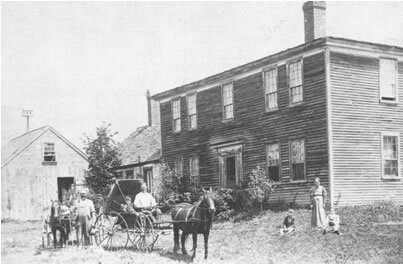 Branch Hill Farm began in 1962 when Carl Siemon purchased his grandparent's 1786 farmhouse on 3 acres of land. Four years later, Carl purchased 56 acres of clear-cut land behind the farmhouse. Since that first land purchase in 1966, Branch Hill Farm has grown to over 3,000 acres of managed forest and farmland through a series of 41 separate land acquisitions. Carl always remarked that the smartest move he made back when he made his first land purchase was to contact Strafford County Forester Roger Leighton for advice about managing his new wood lot. Roger provided invaluable guidance during his tenure as County Forester and became Branch Hill Farm’s Forester for a remarkable 43 years. 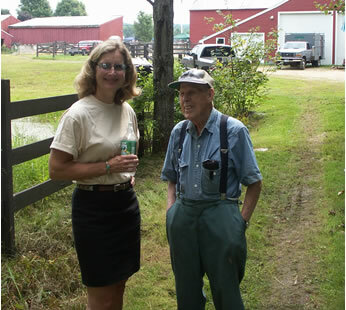 Branch Hill Farm benefited enormously from Roger's wisdom and vision regarding forest stewardship and land protection. For 40 years, Carl Siemon personally managed and worked in his wood lots. During the 40 years, Carl’s loyal friend and employee Stan Lizauskas assisted him in all aspects of managing the farm. Carl’s passion was pruning trees, and it has been estimated that he personally pruned over 90,000 trees. 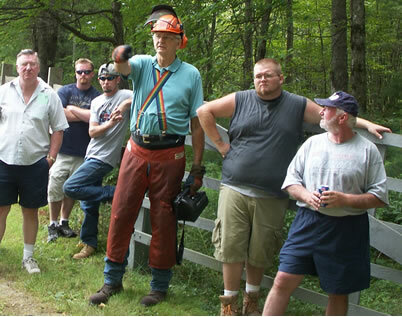 In 1991, Carl donated the development rights of his land to the Society for the Protection of New Hampshire Forests. The purpose and intent of placing this land in the conservation easement is to ensure that the land will be used for forestry an/or agricultural purposes in perpetuity. Carl felt that having worked so hard for over 30 years, he wanted to see a vehicle in place to protect the land, so that it never changes. In 1995, Carl established Branch Hill Farm as the Carl Siemon Family Charitable Trust, a non-profit organization with conservation/educational purposes. The 1400 acres acquired through subsequent land purchases are protected under the Trust's charter. 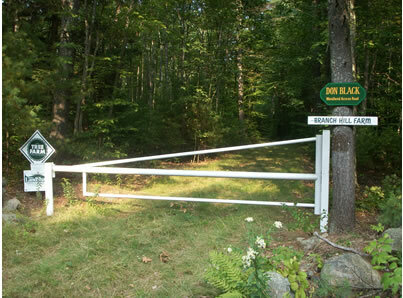 Branch Hill Farm property has always been open to the public for multiple uses. A network of 45 miles of woodland access roads provides fire protection as well as multiple recreational opportunities to the public. There are approximately 10 miles of river frontage on the Salmon Falls River, the Branch River, and the Jones Brook. The land also serves as a living laboratory for educating all age groups about good forest and field management. It was Carl's wish that his protected land would provide "an oasis of forests, fields, wildlife, recreation, clean water and air for generations to come." Carl's grandchildren, Katharine, Brian Wyatt, and Carl Joseph Siemon load hay.